We simply deliver quality results by inspiring our people to be creative and innovative in transforming the way our clients meet their mission. We leverage a legacy of data expertise to help our clients manage an explosion of data and translate it into actionable information that drives change. We engineer transformative solutions iteratively to ensure they meet the client’s business objectives. Amidst rapid technology advances, we enhance our clients' ability to achieve program and project success. We help our clients transform the way they improve the health, wellness, and patient care of our nation. provides advanced data analytics that empower our clients to meet their business goals. Our ROI-driven solutions serve the Banking & Financial, Health & Life Sciences, Federal Civilian and National Security markets in multiple geographic locations via on-site and remote consulting. Our cloud-based Innovation Center platform allows for rapid development of prototypes and solutions at a fraction of the time and cost of traditional consulting engagements. Manish Malhotra is the Chairman & CEO of Unissant, Inc (formerly b.i.methods). He has over 22 years of technical and management experience in the IT industry and is responsible for setting the vision and long term strategy for the company. 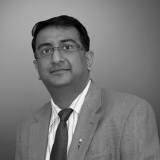 Through hard work and dedication, Manish has led Unissant to provide the highest level of service to its clients. His relentless pursuit of customer satisfaction serves as an inspiration to all levels of the firm. Under Manish’s leadership Unissant has grown from a startup company to an Inc5000 honored company.Manish holds a MBA from Virginia Tech, Pamplin College of Business and a Bachelor’s degree in Computer Science from Pune University. He is a “Gadget Freak”, has a good sense of commercial art and does not sing well but that has never deterred him from trying. Mr. Bonner serves as Unissant’s President and Chief Growth Officer, staying abreast of the needs in Federal Health related to electronic health records; health IT, data analytics/data warehousing technologies; research in advanced healthcare technologies such as Telehealth, Mobile, and Remote Monitoring; warrior wellness and wounded warrior programs; and cybersecurity. In addition to Growth, Mr. Bonner leads the Operations & Delivery, Talent Acquisition, Technology, Data, Contracts and Marketing teams.Prior to joining Unissant, Mr. Bonner was at Standard Technology, Inc. (STI) where he was the VP, Federal Health.Prior to joining STI, Mr. Bonner was the Military Health Lead for Accenture Federal Services focused on the growth of their Military Health practice and led their pursuit of the DHMSM Program (DoD EHR Modernization Program, now MHS Genesis). He was responsible for developing and executing a 1-3 year strategic plan as well as identifying new business opportunities to ensure readiness to support future needs in military health programs with a special focus on the needs of the new Defense Health Agency. Prior to Accenture he was at GDIT in a very similar role. Mr. Bonner spent much of his career in health IT directing clinical product lines within the healthcare software industry and working for health IT firms. He was also the vice president of medical systems for Meta Solutions, Inc., a teleradiology/telemedicine consulting service company within the health industry. Mr. Bonner was also the founder and CEO of a PACS consulting firm, which helped healthcare institutions with PACS planning and system selection. His firm provided all the PACS training for IBM’s DINPACS solution. 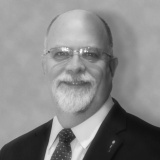 He has been involved in healthcare for over 35 years with a focus in Health IT for over 20 years.Mr. Bonner retired as a captain in the Medical Services Corp from the U.S. Air Force in 1997, with more than 17 years of health care administration experience. In 1996, Mr. Bonner moved to the Medical Advanced Technology Management Office (MATMO), where he was the director of the telemedicine program development. He was a director of telemedicine as well as director of provider network management for DoD TRICARE Region 6 office, where he was one of the core members who stood up TRICARE for the MHS. He also spent time as a medical laboratory instructor and was a MLT for 6 years prior to receiving his commission as a MSC. Mr. Bonner received a Bachelor’s degree in Health Administration from Wayland Baptist University, a Master of Health Administration degree from Baylor University, and is a Fellow of the American College of Health Care Executives (FACHE). Jango Unwalla has more than 20 years of business development, program management and operations experience in the Federal civilian, health and defense sectors.As Chief Marketing Officer, Mr. Unwalla is responsible for industry and corporate marketing. He oversees market research, pricing, branding and communications, and partner management. Mr. Unwalla also provides oversight and leadership for Unissant’s approach to technical execution, quality operations and project management methods. This includes responsibility for systems engineering, technical oversight, quality assurance, process management, and process improvement programs.Prior to joining Unissant, Mr. Unwalla served as the Director of Knowledge Management and Corporate Initiatives at Optimos Inc, where he led the project management, operations, corporate quality assurance and corporate development initiatives of the organization. Mr. Unwalla holds a Master's in Computer Applications and an MBA in Information Management. Sean Kelley is Unissant’s Executive Vice President, IT/Dev Operations. He is a public speaker and radio personality with over 20 years of IT experience in the federal and private sector, specializing in cybersecurity and developing strategic relationships to achieve business goals. He served as a member of the Senior Executives Services as Deputy Chief Information Officer, Department of Veteran Affairs and Chief Information Security Officer at the Environmental Protection Agency, holding positions as an Independent Consultant with numerous Healthcare IT companies before that. Prior to his work in the public and private sectors, Sean served in a variety of key IT positions within Navy Medicine, including the CIO for the United States Navy Ship (USNS) Comfort. He has taught cybersecurity at the Master’s and Bachelor’s levels, was an SANS Institute On-Demand Instructor and course author and was also the President of the Government Information Techology Executive Council (GITEC). He is also the host of CyberChat on federalnewsradio.com and is a 2018 FedHealth 100 awardee. 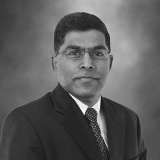 Mr. Raju Prasannappa serves as the Chief Technology Officer of Unissant. As a member of the Leadership Team, he is responsible for providing strategic technical and business direction to leverage and enhance company’s strengths in technology for organizational growth, working closely with business-development and technical teams to identify, qualify and pursue new business opportunities. He also works with key vendors and other systems integrators to develop partnerships and alliances to support Unissant’s growth in the federal sector. Raju has more than 30 years’ experience in designing, developing and delivering innovative and highly effective technology-enabled solutions to address key business challenges facing clients across public and private sectors, and is passionate about applying technology and business process management to address some of the toughest challenges facing the healthcare industry. 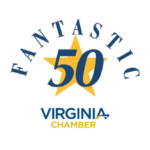 Prior to joining Unissant, he was the CTO of ASM Research, an Accenture Federal Services company, supporting the company’s growth in VA and DHA. Before ASM Research he was Chief Technologist/Senior Scientist at Harris Corporation, where he played a key role in establishing Harris Healthcare Solutions as a major player in the federal healthcare IT market. He was instrumental in creating a joint venture with Johns Hopkins School of Medicine to develop innovative solutions in oncology, radiology and patient safety. Other companies he has worked for include Noblis Systems, Raytheon and SAIC. Before entering the commercial sector, he was a member of research faculty at University of Maryland, conducting research and development in the areas of Computer vision and AI. He was also an adjunct Associate Professor of Computer Science at University of Maryland University College for eight years.Raju has an undergraduate degree in Electrical Engineering from University of Mysore, India, and a graduate degree in Computer Science from University of Maryland, College Park. 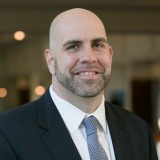 He has published and presented his work in several conferences, participated in several national level advisory panels, and is a member of several professional organizations, including HIMSS, AFCEA, and ACT-IAC. Beth Hiatt is the Chief Data Information Officer. As part of this role Beth is responsible for Unissant’s Technology & Innovation Center, as well as, growing and managing the company in the Commercial market. 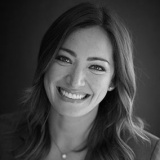 She has responsibility for creating, enhancing and innovating the Unissant brand by delivering leading technology solutions that are leveraged across both our Federal and Commercial sectors. As Unissant’s CDIO, Beth works with industry forums and leaders to drive new capabilities, thought leadership and solutions to the industry. Being part of Unissant’s Corporate Executive Management staff, Beth is accountable for company’s business and financial performance objectives for the Commercial Division, including revenue growth, profitability, cash generation, program performance, customer satisfaction, technology development, operational improvements, and talent development. Beth is a seasoned professional with over twenty-five years of professional work experience. She has held various roles across the business & technology areas within the Financial Services, Telecommunications & Hospitality industries. She has developed & implemented enterprise data management programs, including such functions as, data governance, data quality, master & metadata programs. She has experience developing enterprise information architectures and executing against the various technology components of the architecture. Beth is a strong, results driven leader, with experience managing large organizations. She has experience building & growing organizations, focusing on hiring top talent and fostering strengths within an organization. She is a dynamic leader, who believes in empowering her team. 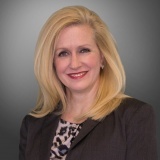 Ms. Hardy currently serves as the Vice President, Business Development for Unissant focused on developing and maturing the core capabilities and market relationships of the firm’s health IT, data management and analytics, digital transformation, and management consulting verticals.Ms. Hardy is a seasoned business and market strategist with skills in developing relationships and leading the implementation and growth of multiple high visibility accounts and programs. She brings a proactive and energetic approach to managing the full lifecycle of business prospects through to program implementation. Her diverse management experience and market engagement ranges from management consulting within interagency provider environments to software development supporting secure patient data to advanced research and development in both clinical and nonclinical environments. Prior to joining Unissant, Ms. Hardy held executive positions at both small and large businesses leading the successful capture, management, expansion, and retention of defense and civilian healthcare programs in the federal government market. Ms. Hardy stood up the defense and civilian healthcare accounts at Cherokee Nation Businesses and grew the accounts from infancy to maturity to include engagements at component level DoD organizations, joint healthcare organizations to include the MHS and DHA, and HHS. She additionally maintained P&L responsibility for a collection of programs critical to the maturation of capabilities to include experience with interagency case management, patient safety, biosurety, and international clinical support. She has also held senior level business development positions with Booz Allen Hamilton and Attain. Steve Erd is Unissant’s Senior Vice President, Growth. He brings extensive Federal Health experience to Unissant, with a solid history growing accounts in multiple companies by combining policy, government, and industry experience enabling customer success in targeted programs. 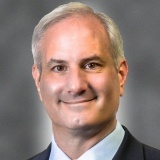 He has spent two decades in public service and supporting government programs through other leading companies, including Northrop Grumman and Lockheed Martin, and comes to Unissant following five years as Director, Government Health Solutions at LexisNexis, supporting the Company’s growth in the Federal Health space. He has leveraged his government, policy, and industry experience to significantly grow company businesses, with clear understanding of government customers’ needs addressed by innovative, thoughtful solutions. Throughout his business development career, Mr. Erd has provided account management and growth activities focused on responsive, innovative solutions for the Departments of Health and Human Services, Veterans Affairs, and Military Health. Mr. Erd is also a Past President of the HIMSS NCA Chapter and current Board Member, a member of the HIMSS Public Policy Committee, a 2017 AFCEA President’s Awardee, and a 2018 FedHealthIT 100 awardee. 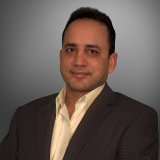 Parvez Ahmed has over 20 years’ of experience in the areas of Accounting, Finance, and Government Contracts Cost Accounting. 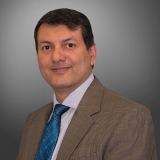 As Vice President of Finance, Mr. Ahmed oversees Unissant’s FP&A Department and is responsible for the company’s financial accounting functions. He manages and directs the department, establishes, maintains all processes, policies, and procedures, and ensures compliance. Additionally, Mr. Ahmed provides cost proposal analysis and pricing in support of all business development proposal efforts. 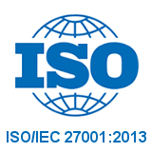 He has extensive experience in Cost Accounting Standards and DCAA Compliance. Mr. Ahmed holds a Master’s in Finance and Control, and Master’s in Commerce. People are not simply the most important asset of the company, they are the company. Our clients hire and re-hire us because we employ high performing, highly skilled IT professionals. Our employees are our major strength and our clients benefit from a well trained, conscientious, and diligent work force. Unissant employees are extremely talented and experienced in the IT industry, with an average experience level of eight or more years. We hire industry certified individuals and encourage our employees to continuously learn and expand their knowledge base. The attraction, long term development, and retention of top talent are critical success factors to Unissant’s success. Utilization of this talent requires constant attention to a professional working environment, positive team dynamics, and long-term growth of individuals, teams, and organizations. It also requires competitive compensation packages that are on par with large businesses. These packages include tax-deferred retirement accounts with employer contributions, health, life and disability insurance, vision and dental coverage, customized training, and paid-time off benefits. Unissant is growing business. We encourage innovative thinking and thought leadership. That is what our clients want solutions that they have not thought of already that will help them achieve their goals faster, cheaper, and better. Our employees have direct access to each other and to our leadership team and can affect continuous learning and improvement for our company as a whole. Our employees’ thoughts, ideas, and collaboration shape decisions and direction on a daily basis. In order to realize our vision and to bring true value to our customers, Unissant relentlessly strives for excellence in every facet of our operations by constantly examining, improving, and reinventing. We focus sharply on delivering value to our clients based on their needs. Underpinning this drive for excellence is a commitment to absolute integrity in interactions with customers, partners, suppliers, stakeholders, and colleagues.